Very recently my father and I made a bed bench for my mother. 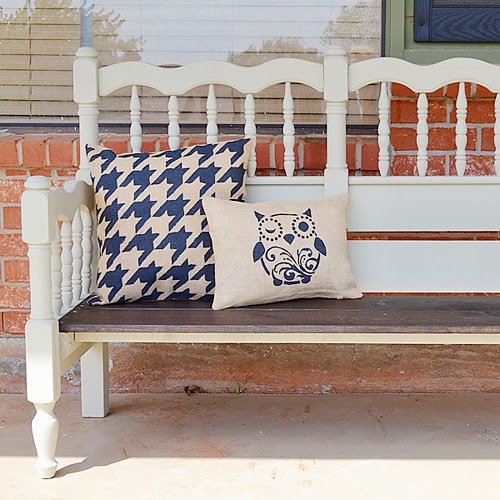 Basically we took an old bed and turned it into a bench for the front porch! 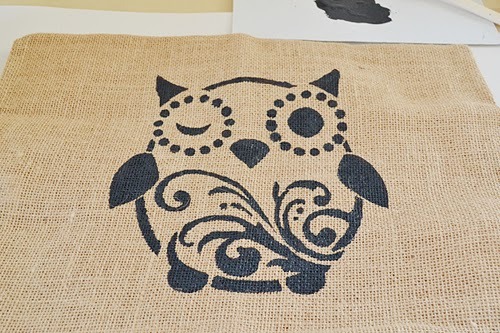 And since my mother loves all things decor, trendy and owl I also stenciled some burlap pillows. 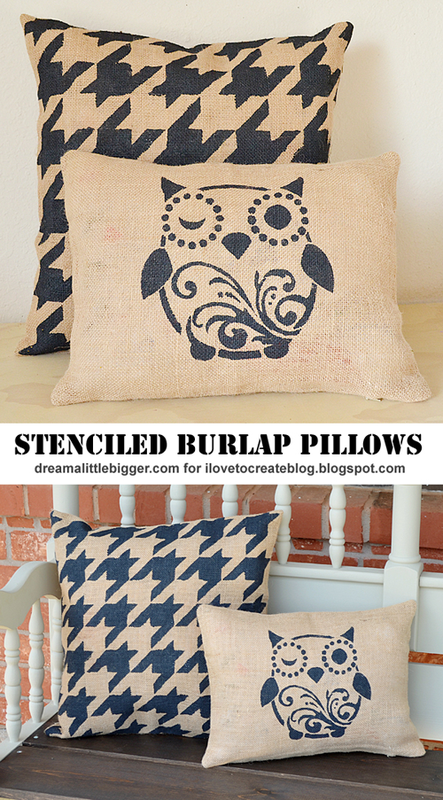 With the new burlap pillow covers from iLoveToCreate these were tons faster to make than the bench itself! And complement the bench perfectly! 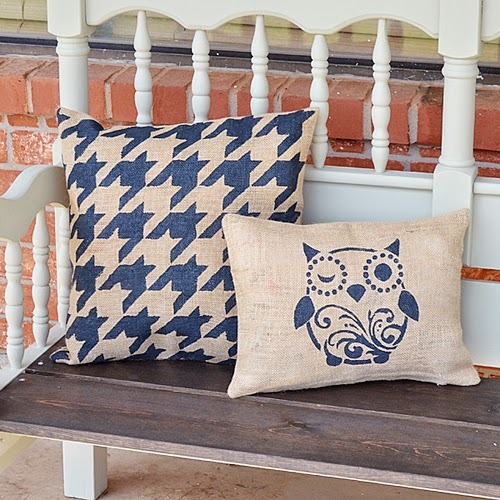 Tulip Burlap Pillow Covers from Michael's Craft Stores! 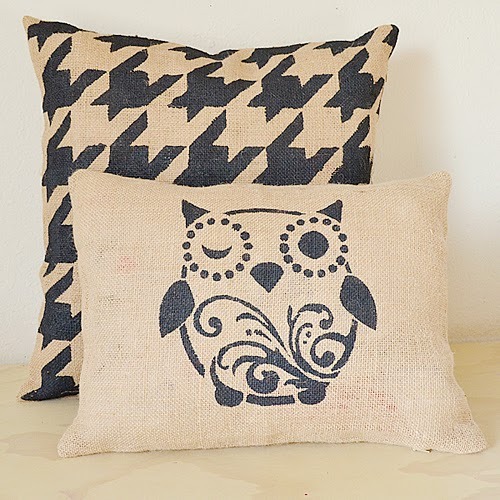 These burlap pillow covers are pretty darn awesome and come in a variety of sizes! Remove the packaging and give your cover a good iron to remove any creases. 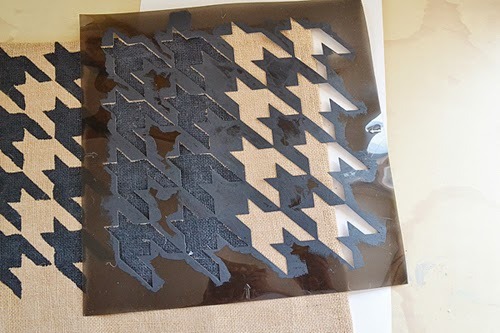 Take your stencil and spray your adhesive to the back (not shiny) side. Allow a moment to get tacky and then place on your pillow as you'd like it. Using a spouncer or foam paintbrush, daub the paint in an up an down fashion over the stencil. Remove the stencil and clean so it will be ready for your next use! 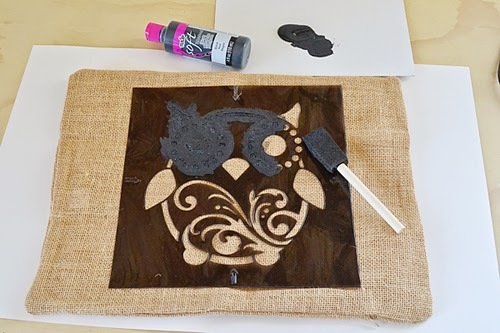 When creating a pattern with the stencil, make your first pass and allow the paint to dry. Place the stencil partially over what you've already painted and over the area that needs to be stenciled and get back after it! Repeat until the entire area is covered. 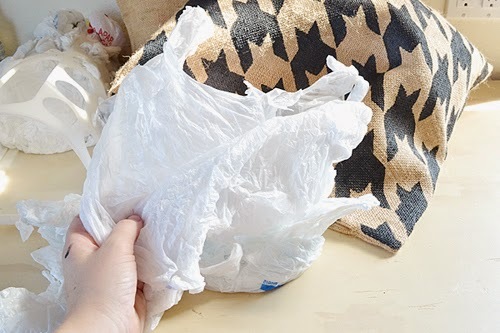 Now get into that stash of plastic shopping bags and if yours are wadded up like mine were, take the time to open them up. 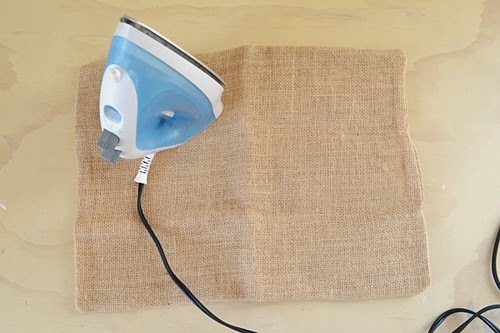 Stuff your burlap case until it's comfortable feeling and looks well filled. And in case you're wondering, we're using the plastic bags because a normal pillow insert or Polyfil will mold in outdoor moisture. Trust me, it happens! Aren't these two cuties perfectly paired? I am such a sucker for houndstooth and my mother is all over this owl trend so I think the pair is just perfect! And both of them placed on the bench helps it to finally look complete! 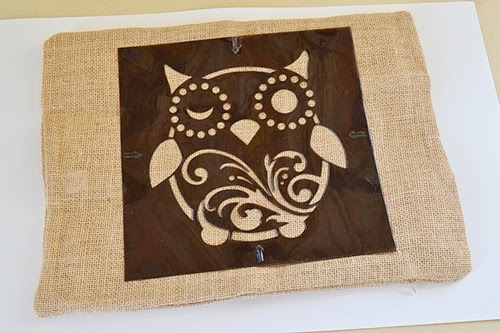 These awesome burlap cases will be available at Michael's stores this September. Grab a good couple and stencil them or adorn them any way you please and never bust out the sewing machine! Thanks for reading and be sure to give me a "what's up" over at my blog Dream a Little Bigger! Very Cute! 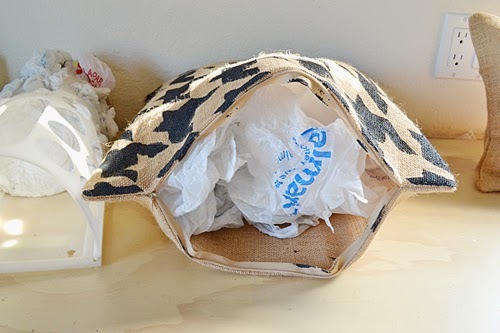 I never thought about using old grocery bags! I love them very mutch, nice idea.